Most visitors come to Washington D.C.to experience museums, monuments, and memorials. Of course, The White House and the U.S. Capitol also top the list. The good news is that the best of the best can be found within relatively close proximity to each other along and around the National Mall. 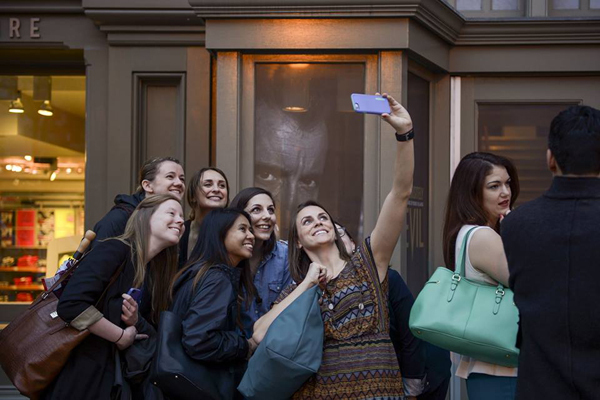 To plan to see the best in 2 days, a brief orientation helps. The National Mall, a 2-mile long, grassy expanse, is flanked by America’s iconic buildings, remarkable Smithsonian museums and moving memorials. Just off the mall, there’s more to see: architecturally beautiful buildings in which the work of the nation is done and numerous other wonderful museums. The Mall is divided into two sections. The East Mall stretches from the U.S. Capitol on the east end to the Washington Monument on the west end. In between are spectacular Smithsonian museums. The West Mall begins at the Washington Monument and extends west to the Lincoln Memorial. Between the two in a park-like setting are the WWII Memorial, Vietnam Memorial and Korean War Memorial. Start out with an overview tour by trolley, Segway or bike. First-time visitors may want to consider beginning their visit with an overview tour. The interesting, historically narrated Old Town Trolley Tour is comprehensive and has the most convenient hop on/off DC tour stops within walking distance of the sites you want to see on and around The Mall. A more active and personal way to get an overview is on a Segway or Bike Tour. Both offer informative, fun tours which are great for families and anyone who likes to be outdoors, see the sights up-close and get some exercise. Smithsonian Experience by Segway departs for the National Museum of American History on The Mall. Gliding past D.C. landmarks around The Mall on those odd-looking upright vehicles is an effortless way to check everything out before making your choices. The National Mall Segway Tour, departing from the Foggy Bottom Metro Station a few blocks north of The Mall, is a more expansive 3-hour tour. Bike tours are ideal for active visitors. Washington D.C. Monuments Bike Tour takes you around The Mall and Potomac Tidal Basin. At each memorial, your guide shares the monument’s interesting history and anecdotes. Time is allowed to park the bikes to explore the monuments on your own. Bike the Sites Capital Tour goes by the most popular sites in and beyond The Mall. Both 3-hour bike tours depart from L’Enfant Plaza. Select 2 of these Museums on The Mall. Exploring the vast collections of two massive and compelling Smithsonian museums takes at least a half day. A perennial favorite of all ages is the National Air Museum. Flight. Space. Our Solar System. The Universe. This is where the history of man’s quest to explore the skies is on exhibit, and the future of flight and space exploration is explored. Hundreds of aircraft, spacecraft, missiles, rockets and flight-related artifacts are all here, in 23 astounding galleries. To experience what makes America American, put the National American History Museum on your list. From coast to coast and spanning 3 centuries, the museum’s compelling exhibitions and experiences cover all aspects of American heritage – social, political, cultural, scientific; military, sports, music, art. The ingenuity of everyday American life on display is a entertaining eye-opener. The massive Natural History Museum has something for everyone. It houses everything from the biggest mammal to the smallest insect and everything in-between. Exhibits focus on human origins; the development of cultures; ancient and modern mammals; birds, amphibians, reptiles, insects and sea creatures; rocks, gems, fossils and dinosaurs. Kids love it – especially a replica of a North Atlantic right whale and the insect zoo. The full-size reconstructions of human species throughout the ages is an attention grabber, and the mythical power of the Hope Diamond in the gems and minerals collection intrigues. Young teens get into making scientific discoveries in the interactive centers. While many of the grand art museums in D.C. have incredible holdings of magnificent art through the ages, the modern and contemporary art inside the distinctive cylindrical Hirshorn Museum and Sculpture Garden focuses on the future. Featuring outstanding international modern and contemporary art, it also provides a national platform for the art and artists of our time. This forward-thinking approach has made it a favorite of young adult visitors. Get great White House photos. 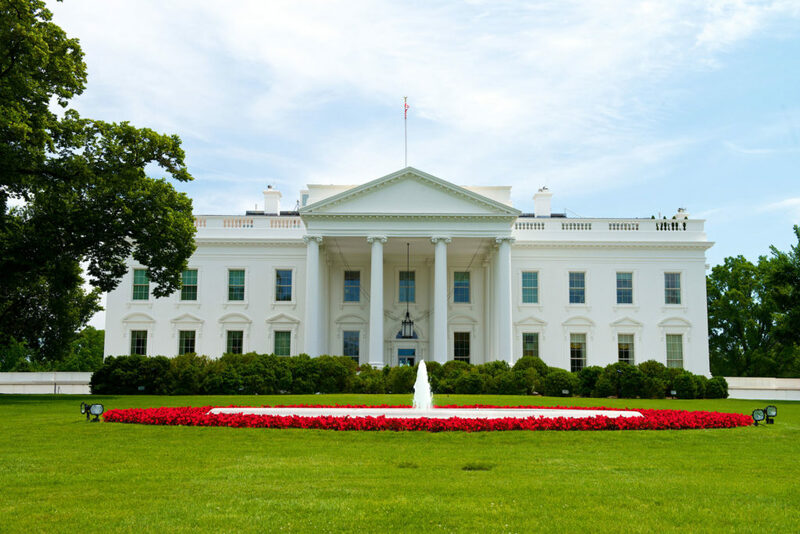 The best place to see and photograph the White House is from the fence looking towards the South Façade. A short walk away from the Washington Monument, the South Façade is the oft televised location of events on the South Lawn which stretches to the columned, curving South Portico. The Rose Garden, where important addresses take place, is on one side of the portico. The lawn is where the annual Easter Egg Hunt and other events take place, and where the presidential helicopter takes off and lands. Cap off the day with a breathtaking evening experience. The monuments and memorials glowing white against the night sky is spectacular. There are three great to enjoy this special experience. See the stately monuments and moving memorials as you listen to the stories surrounding them in the comfort on Old Town Trolley’s Monuments by Moonlight’s 2.5-hour tour. 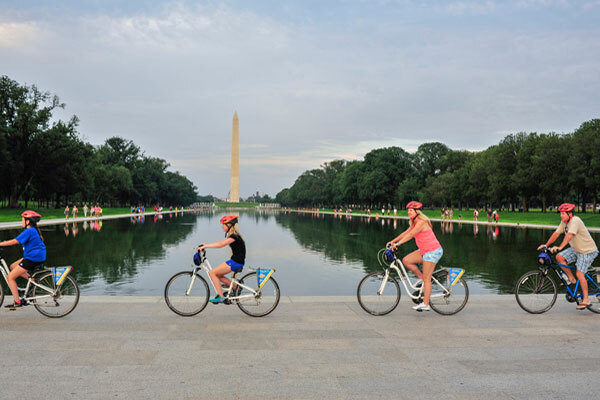 Active visitors may prefer the 3-hour Monuments by Night Bike Tour, an up-close, leisurely way to explore the glowing monuments around the National Mall and Potomac Tidal Basin. 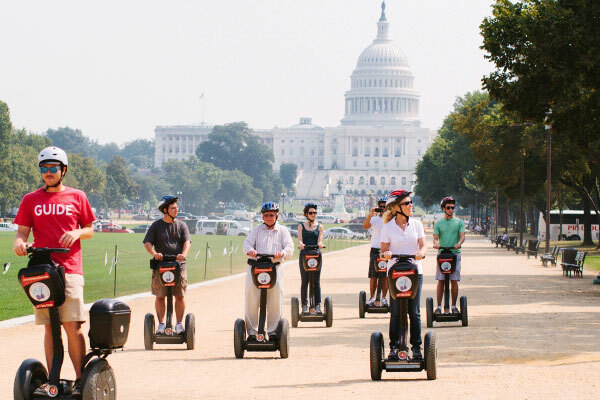 Or, spend an enjoyable evening gliding past many sites around the city, including the memorials, on a Segway Night Tour of Washington D.C.
Visit the U.S. Capitol and Capitol Visitor Center. As the meeting place of the nation’s legislature, the iconic United States Capitol is a symbol of America and representative democracy. 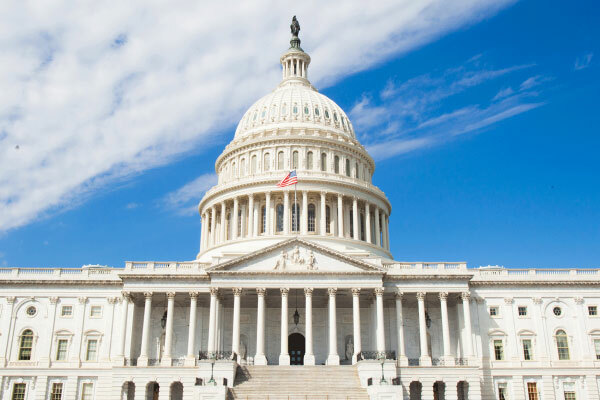 To take a tour of the Capitol, making reservations in advance is recommended but not required. Keep in mind it’s a popular place. If you want to try your luck, get to the underground Visitor Center before it opens at 8:30am to queue up for same-day passes available at the Information Desks. During peak spring and summer months, same-day passes are limited. If you don’t luck out, the huge Visitor Center has interesting special exhibits and films about the Capitol Building and the work of Congress. It also has food service and gifts shops. Don’t miss the best museums just off the National Mall. Not far from the Capitol, the Newseum is a dynamic, engaging and interactive visitor favorite. Seven levels, 15 theaters and 15 galleries are packed with exhibits exploring journalism past and present through the five freedoms of the First Amendment: religion, speech, press, assembly and petition. It’s an important interactive experience for anyone, especially families with teenagers and young adults. 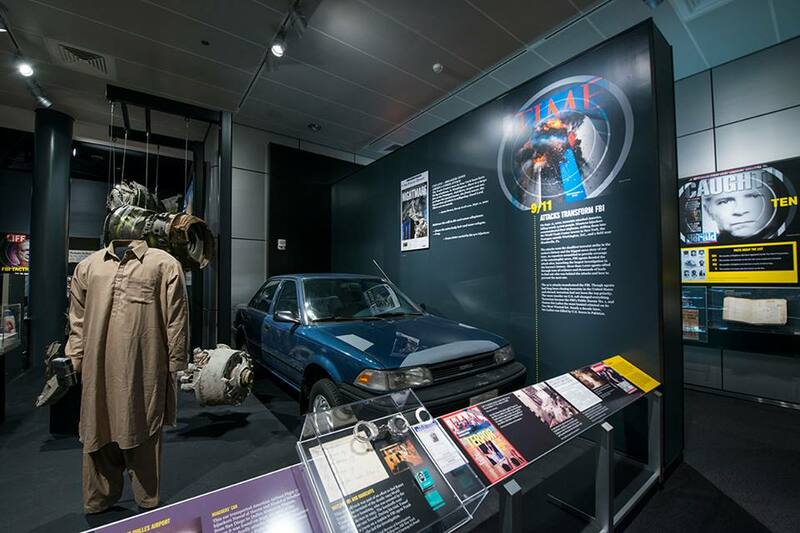 The International Spy Museum nearby is a place to delve into the shadowy world of international espionage. The collection of espionage artifacts on exhibit is the largest in the world. Stories of individuals and their missions are highlighted, the impact of the undercover world on historical events explored. Younger family members have fun being a spy, adopting a cover, breaking codes and testing spy skills.